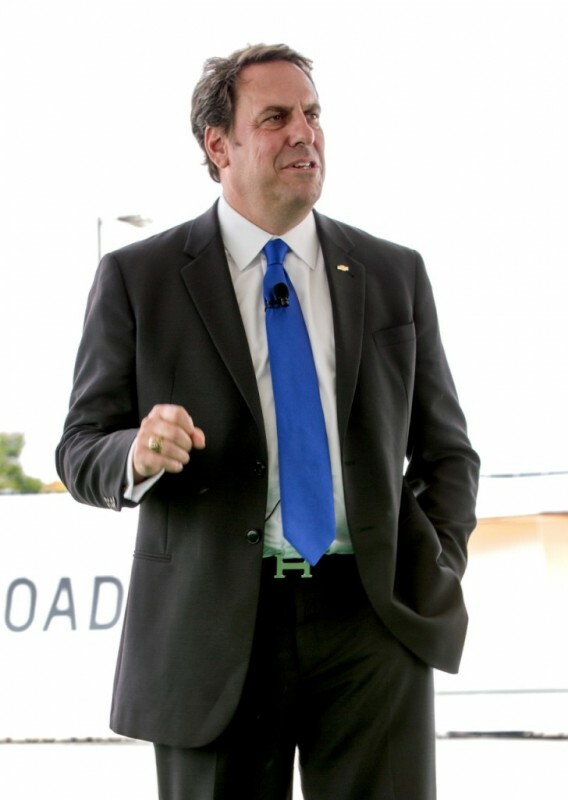 GM President, Mark Reuss, announces that Cadillac will offer a CT6 plug-in hybrid variant. Last week, Cadillac announced that its Omega-based flagship model, due to debut next year, will be called the Cadillac CT6, which ushers in an entirely new naming system for the Cadillac brand. We expect information on the CT6 to pour in bit by bit over the next several months, and we just got our first taste, thanks to Mark Reuss, GM’s president of global product development, who announced that we’ll be getting a CT6 plug-in hybrid variant. According to Jalopnik, the CT6 plug-in hybrid variant will climb to 75 mph on electric power alone and will sprint from 0 to 60 in fewer than 6 seconds. Reuss also announced that the Cadillac CT6’s rearview mirror will not be the mirror we are used to, but instead will display streaming video captured by the rear-camera feed. Reuss even went on to promise that the CT6 “will be the most advanced vehicle technologically in the world.” Look out, Tesla, here comes Cadillac. It is interesting to note that it is currently illegal in the US to replace the mirror with video feed, so it is likely that the video mirror (and possibly the CT6 plug-in hybrid completely) will be a concept vehicle only. Hang around for more information.